The first expansion to Destiny 2 arrived this week, and we decided to take a little bit of time Tuesday night to check it out. 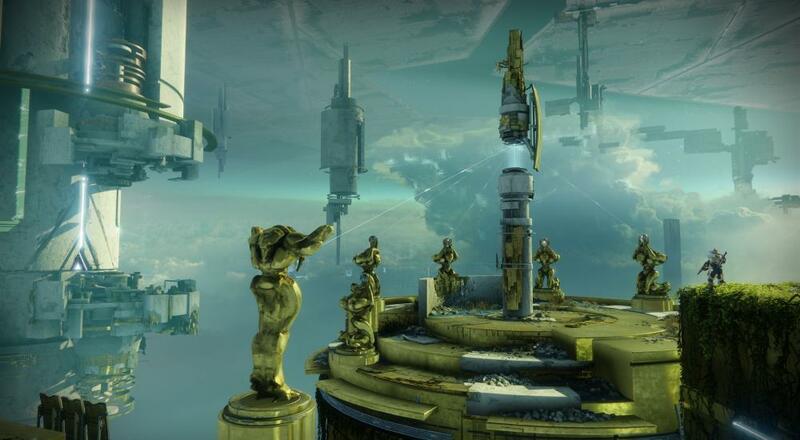 The "Curse of Osiris" added a whole new area (Mercury), a new public space, and some new activities for those who are interested, and while we didn't get a chance to look at them all, we did run through the "Infinite Forest" a few times. The new content may be the equivalent of, say, "The Taken King" for the original Destiny, but what's added is good and needed. As Bungie said in their blog post last week, there are those folks that want to be able to hop into the game as they please and find something fun to do. The "Infinite Forest" may play into this by introducing "Heroic Adventures," which are tougher variants of the three Adventures that become available after completing the story. These variants include adding modifiers, like "Prism" that rotates through the different elements (Sol, Arc, Void) and increases the damage of whichever is selected and decreases the damage of the others. While the Adventures end in a section that is either the past, present, or future of Mercury, the path to get there is slightly randomized and constructed from pre-fab building blocks. It's something Bungie calls "intelligent assembly" (instead of the familiar "procedurally generated"). As this is the first week of its release, it's tough to say whether or not these Adventures will be rotated out every week, but it would offer a new/fun endgame activity for folks if they do. Of course, some of the improvements to the game come from an update that was released simultaneously and is available without needing the expansion. These improvements include more tokens getting dished out for all factions and the ability to buy Legendary Engrams from Rahool. There are even more updates coming next week, like the Masterwork weapons, that should help. Sadly, it appears that there are some issues with the DLC. The new "Heroic Strikes" are locked behind the DLC as well as the "Prestige" versions of the Nightfall Strike and Raid. No word from Bungie on whether anything will be done to change or address this. Page created in 0.2253 seconds.